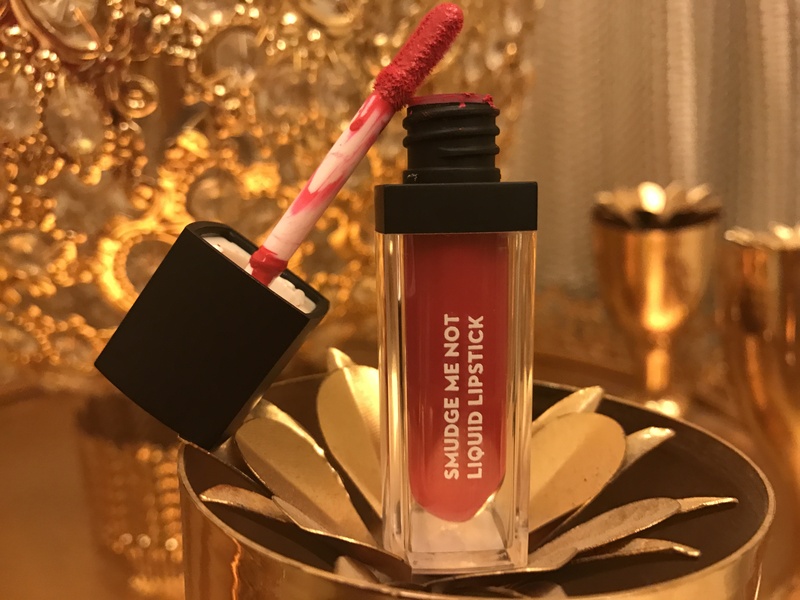 Sugar Cosmetics Smudge Me Not Liquid Lipsticks 07 – Rethink Pink (Rs 499 for 4.5ml) glides well on lips, but soon settles into a completely matte finish. 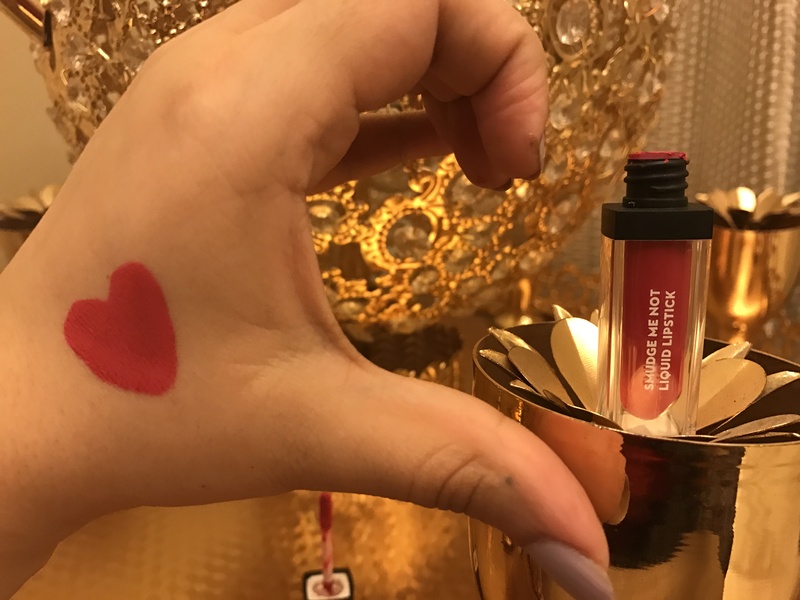 Do note that even though the lipstick glides on well and serves you good for an hour or two, it dries the lips extremely fast! If you are a fan of creamy satin finish lipstick formulas, this wouldn’t make the cut for you. Also, you will need a supremely good quality makeup remover to remove this lipstick. 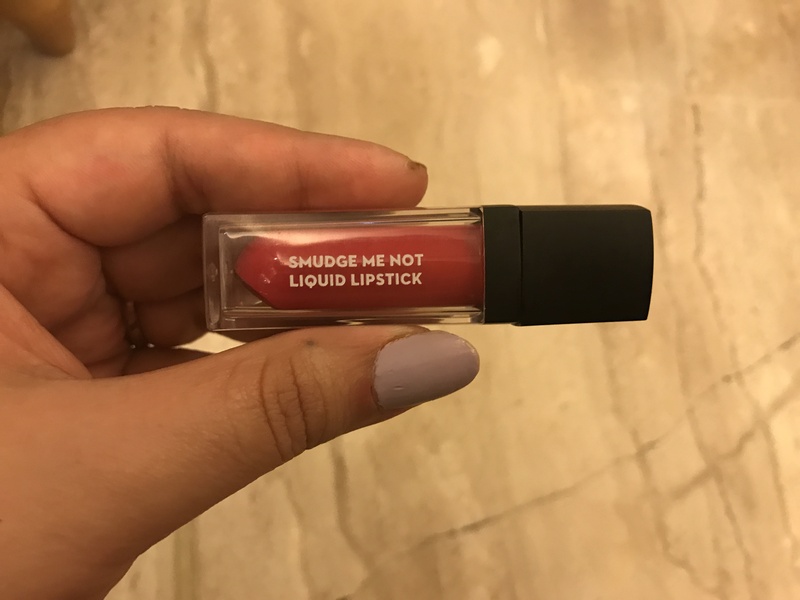 The lipstick is non-transferable and that is a good thing, but only till the point when you really want to remove it, it wouldn’t come off easily. You will need to use a really good quality oil-based makeup remover to get rid of it. Also, it fades in the most unpleasant manner. It will start to fade from the center of the lips, giving you a ghastly liner look by the end of the day. 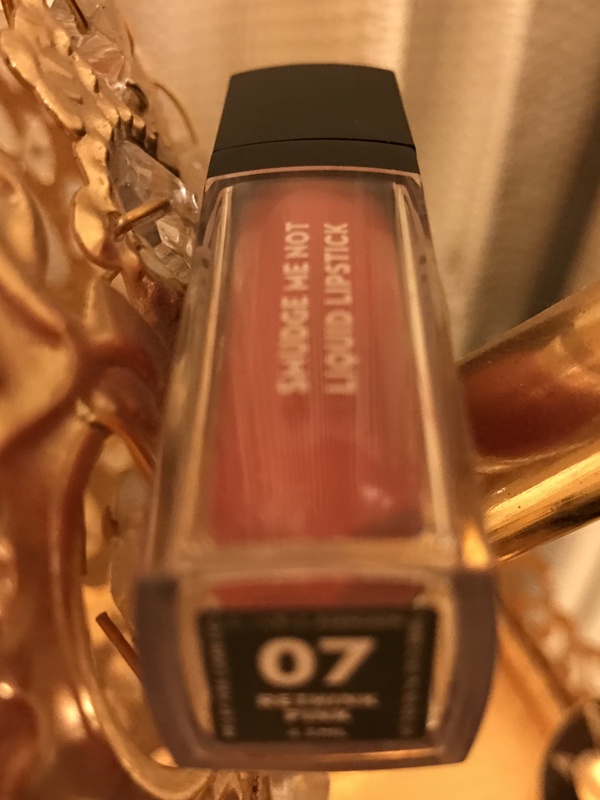 So be sure to always carry your transparent lip balm when applying this lipstick. This is a great tip for those who want to wear long-lasting lipsticks throughout the day and would not mind touch ups! The wand of the lipstick is precise helping with precise application, but you have to be really fast in doing so. This is because it goes matte within a few seconds of application, hence leaving hardly any scope for clean ups. This range is available in a variety of shades and is affordable. For matte lovers, this might be the best find of the season in drugstore variety! It does not bleed on or after application and is smudge proof. The way this formula sticks, you will have to use an oil based makeup remover to get rid of it. The lipstick formula is very dry. So be extremely careful when applying, as it quickly turns into matte finish, giving hardly any scope for any modifications. It is not a paraben-free. Always, always moisture your lips well before applying this lipstick. Best way to apply would be on the lower lip first and then pressing your lip against each other for an even application.